Nanocellulose has been used with promising results as reinforcement material in composites, many of which include hydrophobic polymers. However, the hydrophilic nature of nanocellulose can be better exploited in composites that incorporate high surface energy systems as well as in applications that can benefit from such properties. In fact, proteins can be ideal components in these cases. 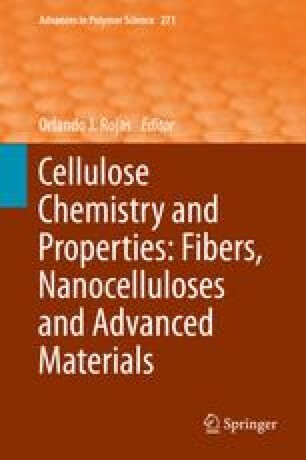 This paper reviews such aspects, which are based on the remarkable mechanical properties of nanocellulose. This material also exhibits low density, high aspect ratio, high surface area, and can be modified by substitution of its abundant hydroxyl groups. It also shows biocompatibility, low toxicity, and biodegradability. Convenient biotechnological methods for its production are of interest not only because of the possible reduction in processing energy but also because of positive environmental aspects. Thus, enzymatic treatments are favorable for effecting fiber deconstruction into nanocellulose. In addition to reviewing nanocellulose production by enzymatic routes, we discuss incorporation of enzyme activity to produce biodegradable systems for biomedical applications and food packaging. Related applications have distinctive features that take advantage of protein–cellulose interactions and the possibility of changing nanocellulose properties via enzymatic or protein treatments.